Investors have poured over $5.5 Million into a little known oil & gas name that is slowly making the rounds on Wall Street. They’re betting this company strikes oil in one of their many properties and becomes Exxon’s next takeout target. 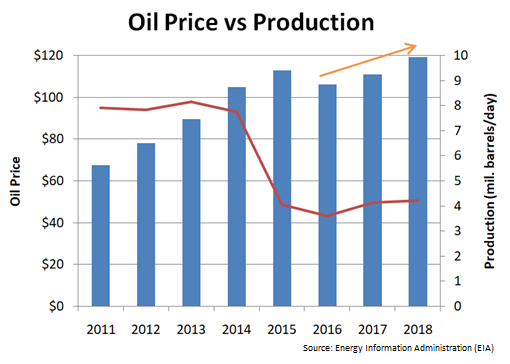 The Energy Information Administration (EIA) forecasts that U.S oil production will rise to its highest-ever level in 2018 . But, with oil prices down 50% from their highs in 2014, most companies have panicked and sold valuable assets for pennies on the dollar. Companies that have used this buy-low opportunity have acquired valuable oil & gas properties with proven reserves at huge discounts. Shareholders of these companies have made a killing in 2017! While commodity markets were in panic, the management team of Houston American Energy (HUSA) used the chaos as a buying opportunity. They acquired mines in the same location where the big oil & gas companies, such as Apache Corporation (APE) and Concho Resources (CXO), were already located. As a result, HUSA stock exploded. Similarly, Lilis Energy (LLEX) has acquired 15,000 acres of oil properties in 2017. With these acquisitions, LLEX has expanded their footprint in regions where established names like Devon Energy (DVN) and RSP Permian (RSPP) were already situated. Investors of LLEX are up 50% in 2017. Investors of Foothills Exploration (FTXP) have put up more than $5.5 Million in the last year, allowing the company to build a portfolio of oil & gas properties. Like the HUSA & LLEX examples above, FTXP is acquiring properties in locations that have been validated by the established industry players. Foothills Exploration has 6 oil & gas wells situated in the same area (Altamont Bluebell field) as industry giants like Exxon Mobil (XOM) and Chevron (CVX). 3 of FTXP’s wells are already producing oil, showing the potential of their property and generating revenues for the company. The remaining 3 wells will be brought into producing status by the end of 2017. 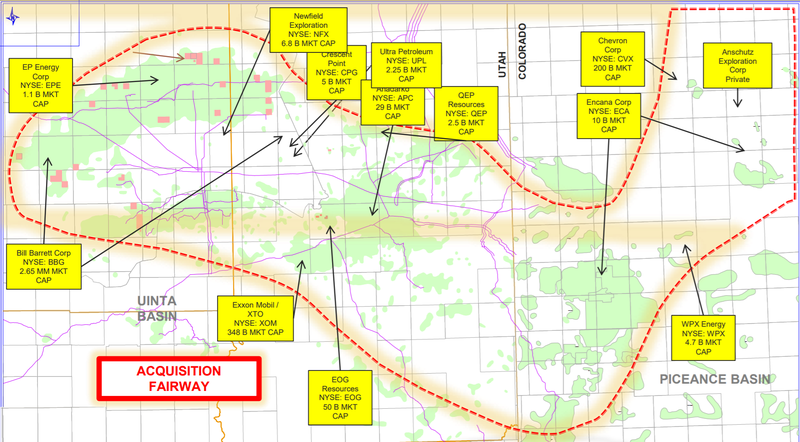 FTXP recently acquired two gas wells that will be operated by EOG Resources (EOG) , the 4 th largest oil and gas operator in the U.S. at a $60B valuation. With this latest acquisition, FTXP continues its strategy of having a financial interest in properties validated by world class operators. HUSA & LLEX investors have enjoyed gains of 100% and 50%, respectively, in 2017 because their management teams were able to acquire valuable assets at fire sale prices. FTXP has followed a similar strategy and positioned itself for a big 2018. If you missed the 50% run in LLEX or the double in HUSA, you need to keep a close eye on FTXP . This email was prepared by Pennystockhaven.com (“PSH”) on behalf of Axiom Group (“Axiom”), as part of a paid advertisement of Foothills Exploration, Inc. (the “Company”). PSH was compensated four thousand dollars for this advertisement and could receive additional compensation from Axiom or the Company in the future. This email is not an offer or solicitation to buy or sell the securities of the Company. This email is for information purposes only, and is not intended to (and is provided explicitly on the condition that it not) be used as the sole basis to make any investment decision. Investors should make their own determinations whether an investment in any particular security is consistent with their investment objectives, risk tolerance, and financial situation. Investors are encouraged to read our full disclaimer here .